“The Voice”, Vern Gosdin, was born August, 5, 1934 in Woodland, Alabama. He began singing in church where his mother played piano. As he grew up, Vern sang in a gospel quartet called The Gosdin Brothers. When he was in his late teens, his family moved to Birmingham, Alabama and began hosting The Gosdin Family Gospel Show on a local radio station. In 1961, Vern and his brother, Rex, moved to California and began performing bluegrass music. They joined a group called The Golden State Boys who then had two top 40 country hits with "Hangin’ On" and "Til the End". They frequently opened for the iconic pop group, The Byrds. In the 1970's, Vern moved to Georgia where he worked a day job but he never gave up his music. In 1976, he signed with Elektra Records. His first hit was a remake of "Hangin' On",which featured Emmylou Harris singing harmony vocals. His next single was "Yesterday's Gone" in 1977 which also featured Emmylou Harris and became his first Top Ten Hit. Several more hits followed between 1977 and 1979 with the biggest of these being a remake of "Til the End" and a cover of The Associations’ hit record, "Never My Love", which also featured harmony vocals from Janie Fricke. In 1982, Vern had a Top Ten hit with "Today My World Slipped Away”. In 1983, Vern co-wrote “Tennessee Courage” with Max D. Barnes and Louis Brown. The song was also recorded by Keith Whitley. In 1983 Vern teamed up with songwriter Max D. Barnes once again. They penned two Top 5 hits; "If You're Gonna Do Me Wrong (Do It Right) and "Way Down Deep". Vern released the album, "There Is a Season" in 1984. This release was chosen by the Los Angeles Times as Best Country Album of the Year. Also in 1984, Vern had his first #1 single, "I Can Tell By The Way You Dance (You're Gonna Love Me Tonight)”. Vern traveled from coast to coast opening shows for George Jones. During this time, George’s manager, Gerald Murray, of Muscle Shoals, Alabama, maintained the same home office for both singers. Muscle Shoals became a pivot location for great writers and other entertainers, including Hank Williams, Jr. In 1987, "Do You Believe Me Now" went to #4, then "Set ‘EmUp Joe” was released and went to #1. Vern and Max D. Barnes co-wrote "Chiseled in Stone" and it won the Country Music Association Award for Song of the Year. In 1989 Vern had another #1 hit with "I'm Still Crazy" and over the ensuing years,he had numerous Billboard Top 10 songs such as "Right in the Wrong Direction", "That Just About Does It" and "Is It Raining at Your House". In 2007, Gerald Murray, wrote "True Life Stories About 'The Voice'". The book tells of the life and times the two had together and about some other people in Vern's life. Murray was a part of Vern’s life for some 30 years and referred to him as a father, brother and friend. In December 2008 Vern announced the release of "40 Years of The Voice". This would be his final music project showcasing 40 years of his remarkable career. The compilation contained 101 pure country songs hand selected by Vern. 11 new songs recorded in 2008, 14 songs from his 1968 album, "Sounds of Goodbye", recorded with his brother, Rex, and 77 of his favorite country and gospel classics. When we lost Vern on April 28, 2009, we lost a legendary singer, a role model, a mentor and a dear friend. Everyone please take a moment to sign this petition and help put Vern Gosdin where he belongs--in the Country Music Hall Of Fame. We come to you on behalf of “The Voice”, the legend, Vern Gosdin. We bring to you this petition to induct Vern Gosdin into the Country Music Hall of Fame, to take his place amid his friends and his fellow country music legends. 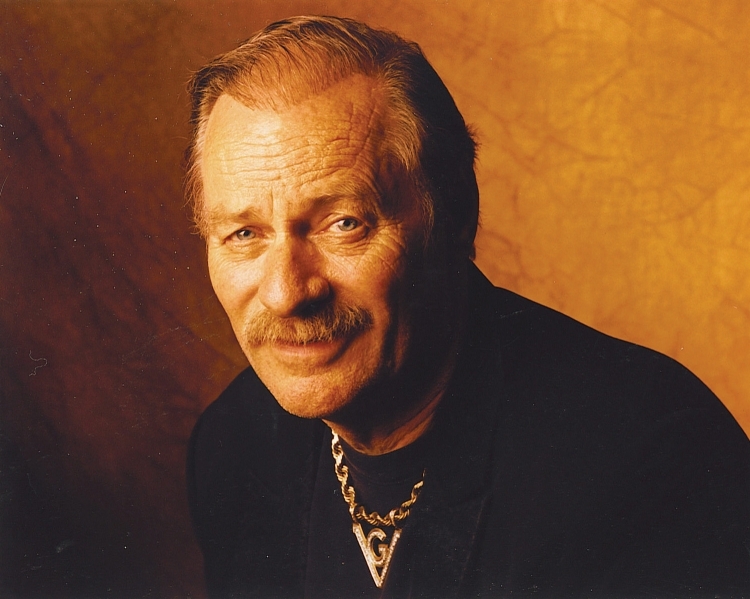 Vern Gosdin was not only a major part of our country music world while he graced us with his presence, but he left us all a legacy of music that is listened to, enjoyed and passed down to generations of fans to come who will continue to listen to, enjoy and share. Vern Gosdin's music has always been a loud voice for country music and what it has always brought to its listeners. Vern left us too soon and we feel he should have been inducted many years before his passing. He may be gone, but his legacy will never be forgotten. We implore you to induct him on behalf of his family, his fans and, mostly, for the legacy that is Vern Gosdin. When Vern passed on April, 28, 2009, we lost a great country singer, a legend, a role model, a mentor and a dear friend. Vern released a major compilation shortly before his death, a box set, “40 Years of The Voice”. A biography was written about his life. He had many #1 and top 10 records. In the late '70s he notched several major hits, including "Till the End" (with Janie Fricke), "Mother Country Music," and a remake of the Association's "Never My Love." In 1983 he had two Top Five hits -- "If You're Gonna Do Me Wrong (Do It Right)" and "Way Down Deep." The following year he had his first #1 single with, "I Can Tell by the Way You Dance (You're Gonna Love Me Tonight)", and in 1988 he had a hit with the perennially popular Ernest Tubb tribute, "Set 'Em Up Joe." "Chiseled in Stone," co-written with Max D. Barnes, won the Country Music Association's Song of the Year award. Vern continued to record with independent labels and never abandoned the pure country vocal style he had perfected over a lifetime of dedication. Vern’s many co-writers include legends such as Max D. Barnes, Hank Cochran, Buddy Cannon, and Dean Dillon. This list goes on ad nauseam. The Induct "The Voice", Vern Gosdin, Into The Country Music Hall Of Fame petition to Country Music Hall Of Fame was written by Gina Robbins and is in the category Music at GoPetition.